No need to settle for ‘close enough’ when choosing a finish for your drapery hardware. Let us create an exact match, whether it be Paint, Stain or any Faux Finish imaginable – It’s what we do! No matter how many times we stress that we will finish your drapery hardware in whatever finish you desire, we are asked if we have paint or stain charts, so we guess the answer is YES – Choose from Minwax, Benjamin Moore, Farrow & Ball, Fine Paints of Europe, Sherwin Williams, DK, C2, Pratt & Lambert, Christopher Peacock, or ANY OTHER MANUFACTURER’S CHARTS! See below for SAMPLES of finishes. This is a small sampling of what is possible. We can provide you with ANY FINISH you desire! Don’t have paint or stain charts? Send us something to match. Don’t have something you can send to us (maybe it’s a chandelier)? Send us a picture. Just have an image in your head? Give us a call and describe what you want! Did we forget anything? If so, that doesn’t mean we don’t do it, just ask! Above is an example of perfect color matching by Window Imagination. 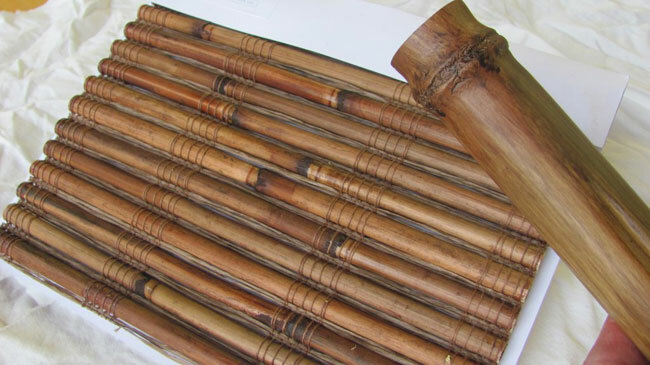 Our customer had a piece of her bamboo shade sent to us for us to create matching bamboo drapery rods, rings, brackets and finials. This is the strike-off of the finish we have provided for her to approve. 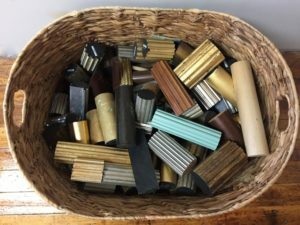 Do you have something you would like to match your drapery hardware to? Maybe it’s a piece of fabric, maybe it’s the chandelier, maybe it’s a photo of the ocean at dusk or maybe it’s the red of a maple leaf turning in Fall, whatever it is we can match it. We take your ideas and create custom drapery hardware specifically for you, it’s what we do. Every finish shown on the website is an example only, you can have any finish and/or any finish combination you desire. ANY FINISH, ANY DIAMETER, ANY LENGTH, ANY FUNCTION!